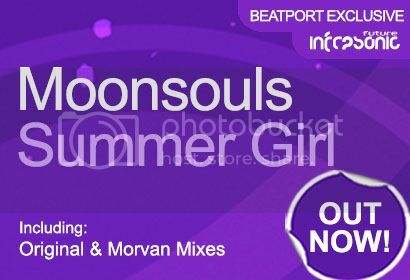 Moonsouls - Summer Girl [Infrasonic Future] | OUT NOW! 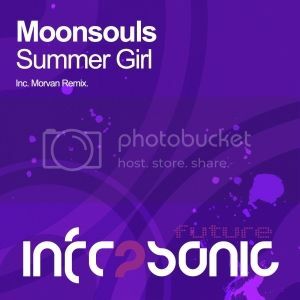 Thread: Moonsouls - Summer Girl [Infrasonic Future] | OUT NOW! Moonsouls is back on Infrasonic Future with another episode in his storming production series, delivering his next uplifting cut in the form of ‘Summer Girl’. The track is a lush fusion of uplifting tones, soothing pads and a killer breakdown that will guarantee the club is sent into a frenzy when it drops. Moonsouls sure knows how to deliver when it comes to hitting that spot and working those dials precisely. On the flip there’s a remix from another Infrasonic Future star: Morvan. Taking things a little chunkier by notching up the groove slightly and layering in a lush deep bass note, Morvan’s mix is the perfect complement and an essential track for those earlier sets.